If there is ever an option to eat good Southern food, I will be one of the first to seize it. My roommate had told me about a place called Pioneer Pies that his parents had taken him to during one of their visits. Judging from the name, I assumed that the folks there were mainly known for their pies. Of course, my assumption was correct. 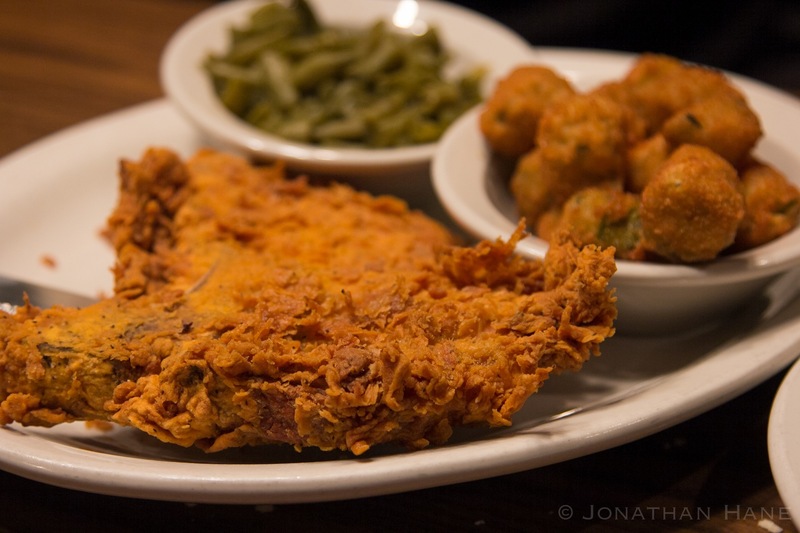 However, their menu also consisted of a wide variety of Southern-style comfort food that I was not expecting. When I look over menus for a restaurant review, I normally look for an appetizer that will reveal the most about the restaurant in question, but this trip was different. The suppers that Pioneer Pies offered came with a soup or salad, cornbread, Texas toast or garlic cheese bread, two sides and a slice of your choice of pie. This seemed like a pretty big selection to me, so I decided to skip the appetizer. Also, they are a little on the pricey side. A supper will cost right around $13. Although, I find that the average price for a restaurant meal now is close to $11. So, while it is a bit more, it is not too much. Brandon Hart, Mickey DeMarzo, Sam Smith and Jonathan Hane joined me for this meal. 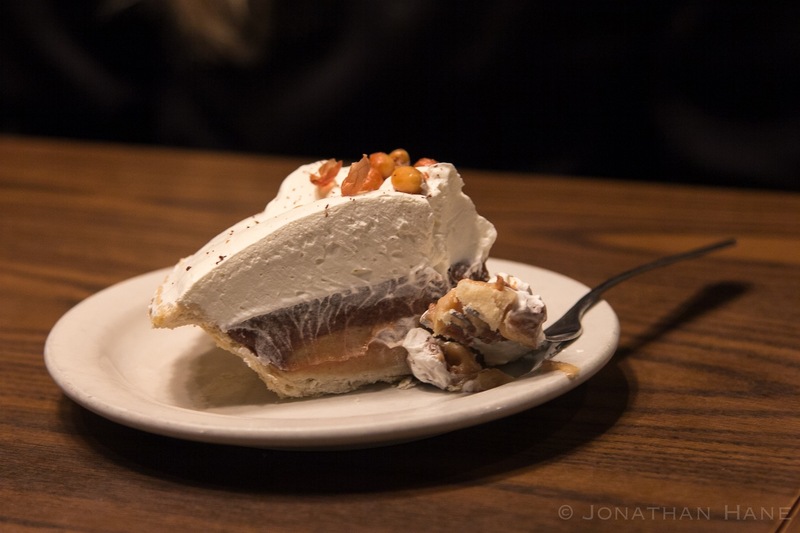 Most of us came for the pie; the comfort food was just a nice surprise. Pioneer Pies has a very fitting atmosphere. The walls are all decorated with early 19th century antiques. Wagon wheels, horseshoes and old pistol bodies are just a few of the many things they utilized. We were seated very quickly, and it took a little time to receive our drinks. Brandon and I were the only ones who had not had dinner yet, so we ordered suppers while the other three had pie. Mickey, Sam and Jonathan all tried the peanut butter chocolate pie. The looks on their faces said it all. This pie was not to be challenged. Brandon was very pleased with his meal as well. He ordered the Hawaiian chicken. Chicken breast with teriyaki seasoning and sauce, this dish was tender and cooked to perfection. He also had the cream of broccoli soup, but he differed when he ordered cornbread and substituted a baked potato for two sides. I asked him what he thought and he told me that it was all fantastic. The meal came to an end with our choice of pie, and it was an amazing ending at that. Brandon chose cherry cheesecake for his closer. By the speed at which he finished it, I assume that it was very good. My selection was another Southern classic. Pecan pie has always been a favorite of mine, so I knew this was my choice before ever entering the restaurant. Another welcome surprise came when our waitress said that the pecan pie could be served warm with ice cream for no extra charge. I couldn’t have said yes faster. As expected, this pie was absolutely amazing. It was exactly what I was expecting it to be after the meal that I had. 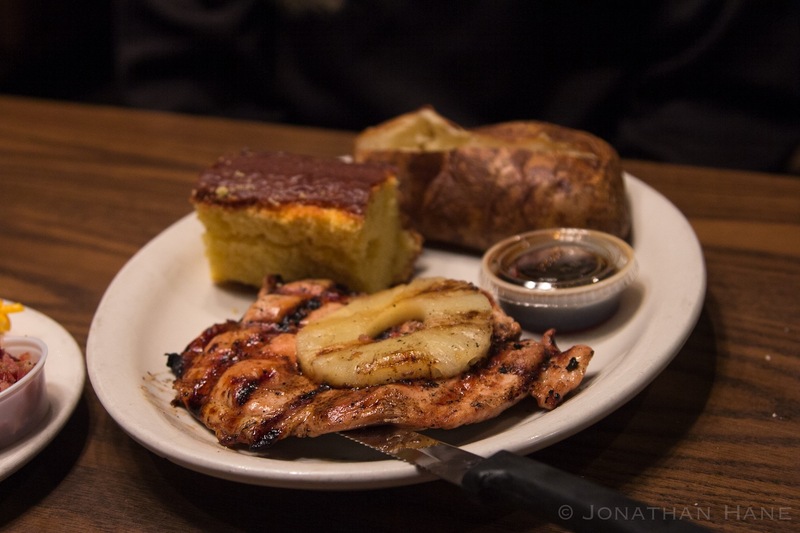 Great Southern-style food is no further than 2201 SW 74th St, right on Interstate 240. Pioneer Pies is another great locally owned restaurant that I highly recommend a visit to.